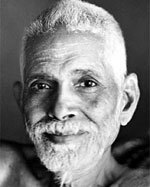 Ramana Maharshi was one of India’s greatest Spiritual Teachers of the Twentieth Century. At an early age he had a profound experience in which he became acutely aware of the mortality of the body. This led on to a profound insight that He was not the Body, but spirit. After this experience he became absorbed in deep meditations, in which he began to experience his real self, which transcended ego. With a glimpse of this higher consciousness Ramana lost interest in worldly life and travelled to the holy Mountain of Arunachala where he spent many years in meditation and teachings seekers who were attracted by his divine personality and aura of peace. 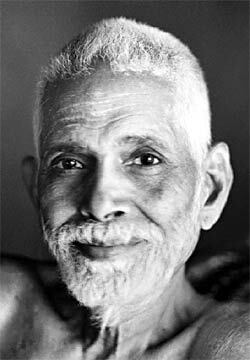 Ramana Maharshi taught seekers to silence the mind and try and discover the source of their thoughts. He taught the goal was to try and reach beyond their ego bound state and answer the question Who am I? In the beginning this is a difficult task but eventually the power of the ego will be diminished by the power of the heart.